The clear definition of the actual products and specifications used in the construction of a home is essential. 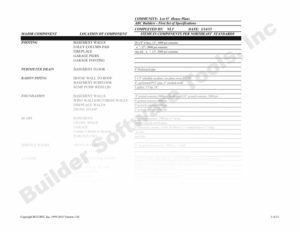 Our spreadsheet format allows a formal, detailed specifications is written for your base models or specific models take a few hours to complete instead of many hours. 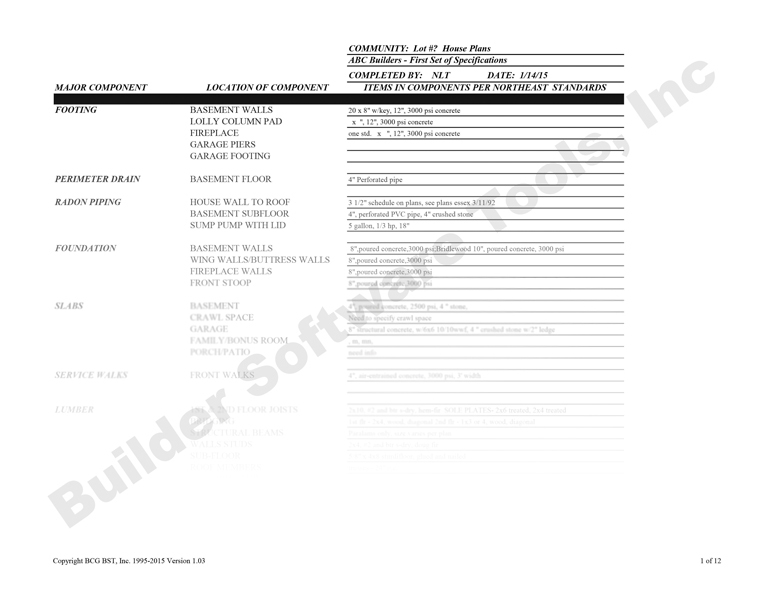 Great tool to get construction specifications completely under control. This process has proven to improve operating margins significantly.